The past week or so, we haven't had any official dessert in the house. We haven't baked anything. Instead, we finished the Easter chocolate. Or popped popcorn. Or ate the ice cream we made in July. 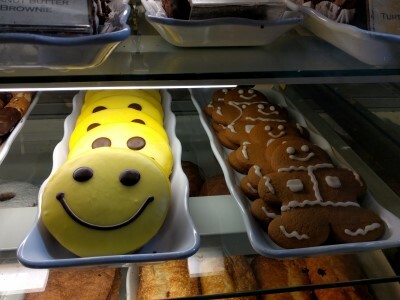 It made me sad because I look forward to a sweet treat every night. Old chocolate, melty ice cream, and popcorn weren't exactly exciting. Especially when I found these photos in my blog drafts. 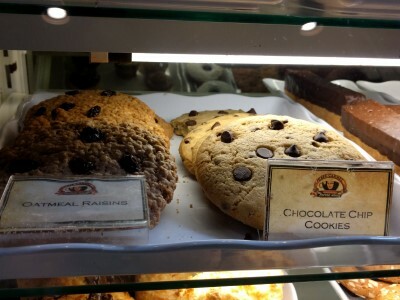 Photos of giant cookies at Carmel Bakery from our trip last July. 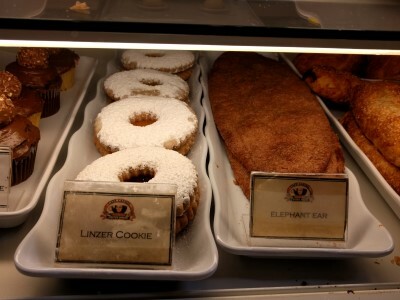 I love linzer cookies & elephant ears & chocolate chip cookies & giant gingerbread people. 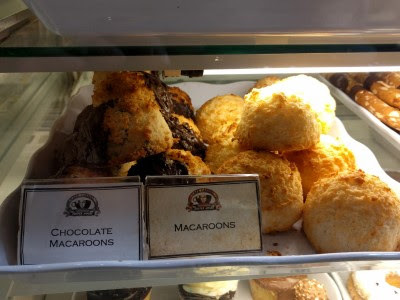 I don't love macaroons, but I took their photo anyway because they were huge. 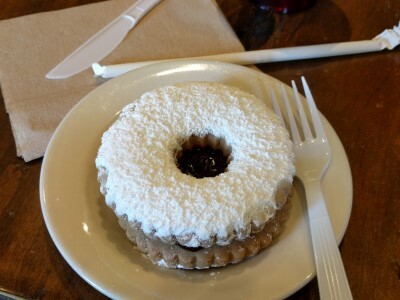 I was overwhelmed with choices but in the end, I picked the linzer cookie. 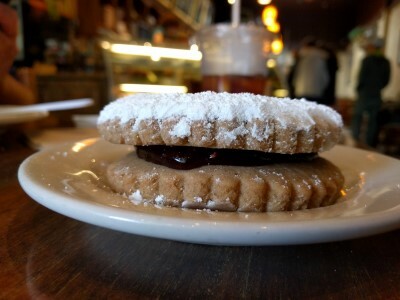 The linzer cookie with so much powdered sugar that I was coated in white dust before it even got to my mouth. Oh well. That's what the wet wipes are for, right? Oh yes - they had food, too. 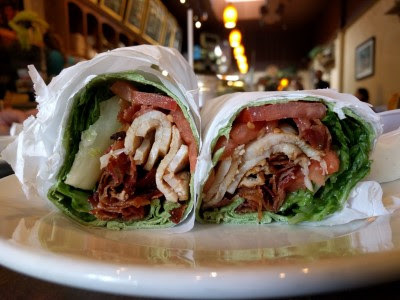 SP had quiche and a small salad while I had a turkey, bacon, lettuce, tomato wrap. Definitely a nice stop for a mid afternoon snack after a day wandering around Carmel.